On their long-awaited fourth album, Ivy reasserts their pop-band stature while continuing to advance the dreamy qualities that made them famous. 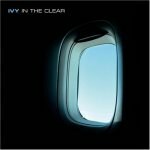 It's been three years since Ivy released their last record (Guestroom, a spirited collection of oddball covers) and four since the New York ambi-pop trio's last album of original compositions, 2001's Long Distance. During this time the band has heightened its visibility enormously through choice TV and movie placements. And the band's members have been busy as well: Adam Schlesinger is also in power-pop act Fountains of Wayne, Andy Chase released a solo project under the name Brookville and last year mixed the Trashcan Sinatras's brilliant Weightlifting CD, and Dominique Durand and Chase took part in a band called Paco (with Michael Hampton and Gary Maurer). Ivy debuted just over 10 years ago playing strummy, fairly pedestrian pop washed smooth by Durand's haunting, French-accented English vocals. But if 1994's Realistic was largely an exercise in radio-friendly confection, it also hinted at deeper musical veins underneath: lodes of atmospheric synth and guitar that the band would begin mining more steadily on its breakthrough sophomore release, 1997's Apartment Life. By the time Long Distance hit Japan in late 2000, Ivy had made the ethereal sonics a core part of their identity without jettisoning their pure-pop roots. Co-produced by Chase and Schlesinger, In the Clear builds on both traditions, fusing terrific grooves and brain-injecting hooks with layer upon layer of subtle and not-so-subtle ambient elements and a studio sheen that can only be achieved with an innovative spirit and unwavering attention to the nuances of arranging and mixing. Using real drums again this time out, the band first recorded quickly to capture the songs' raw energy, then carefully refined the tracks in order to achieve just the right settings and moods, to great success. All 10 songs flare with the spark of live performance while also sounding polished to a "T". Durand's accent, though less pronounced these days, still conveys that hint of foreignness, the harmless innocence of an outsider eager to say the right thing and to make herself understood. Durand does girlish and innocent; she does breathy and sultry; she does bitter and listless. Detached and lovely? Yes. She's often soothing, in a fairy godmother kind of way, but there's nothing intimate or even terribly endearing in her vocal persona. And yet, Ivy's music has real shimmer and drive -- not necessarily in spite of Durand, but because the color of her voice meshes so naturally with what the rest of the music is doing. Durand's voice is one key ingredient among many, not the central force that lead vocals so often are. Of course, like any pop band, Ivy shares part of their sound with and owes more than a few sensibilities to other bands, most notably the Cardigans, Pizzicato Five, the Cocteau Twins ("Nothing But the Sky"), and Lush ("Corners of Your Mind"). No doubt some of this comes from the input of Steve Osborne, whose producing and / or mixing credits include New Order, Happy Mondays, Starsailor, and Elbow. Osborne contributes keyboards and guitar to several cuts and he mixed or co-mixed (with Chase and Schlesinger) seven tracks. Interestingly, the tracks mixed by Chase and Schlesinger on their own gel a little better than Osborne's, especially with respect to the rhythm section. Schlesinger's bass playing is fabulous -- understated but taut -- providing maximum thrust from a minimum of notes. Sonically, the bass guitar is lower (as in, deeper) than the punch of the kick drum, helping to keep the feel of the record light and airy, which seems to be the sound they were going for (if the cover can be taken as further indication). The guitar playing, from Chase and others, is top-notch. Former Smashing Pumpkin James Iha adds fuel to the fire of "Tess Don't Tell" and also plays on the spacier "Clear My Head", and Schlesinger's Fountains bandmate Jody Porter contributes to four other songs. Chase's hypnotic lick on "I've Got You Memorized" reinforces echoes of the Cardigans's "Love Fool" set in motion by Durand's background vocals, and the guitar parts on "Ocean City Girl" are heavenly. Lyrics are far and away the album's weakest point, consisting more often than not in pat, stock-sounding phrases ("give me something to believe in," "I never knew what I meant to you," "never thought I'd feel like I feel tonight"). "Ocean City Girl" is a notable exception, a bittersweet portrait of self-reliance and decisiveness. The second track, "Thinking About You", is the catchiest of the bunch and also features a string arrangement from the Brazilian Zé Louis (Bebel Gilberto, Caetano Veloso), though the strings unfortunately sound more like samples, both in performance and in timbre. My favorite track, "Keep Moving", approaches emotional directness in its lyrics and also benefits from both a tasteful trumpet solo and the album's best groove: pulsing, down-tempo bass guitar and kick drum propelled by rapid 16th-note high-hat work. Ivy's in a tough spot now. From a songwriting standpoint, it feels like they've gone as far as they can go. The band certainly appears to have the native firepower to redirect itself, perhaps taking off in an even more progressive direction with either their ambient or rock sides (or both). But with such little evident inclination to break from classic pop structures and pop repetition, that doesn't seem likely to occur. In any case, these are questions for the next record. Right here and right now, Ivy fans have the band's best album right in front of them.